The season of baking is almost upon us. It is time to stock up on butter, flour, and all of the other lovely ingredients that will blend together to make the most delicious sweet treat! 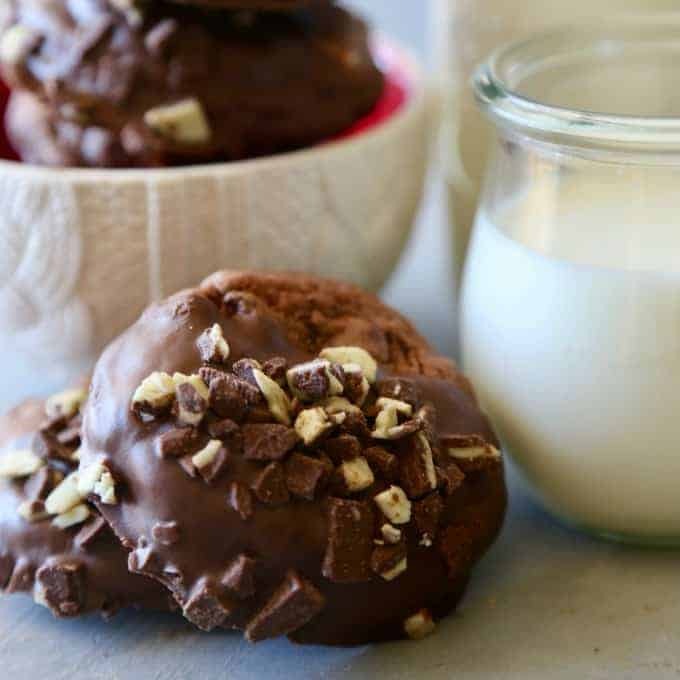 These Mint Chocolate Cookies are sure to become your new go to cookie! Baking for friends and family is something that I, TheSeasideBaker, love to do most. 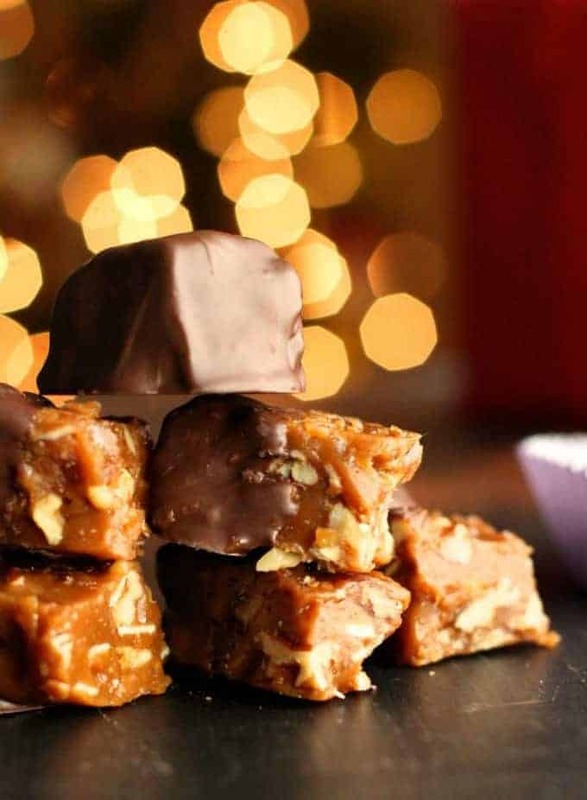 During the holidays we bake hundreds of cookies and make numerous pounds of fresh candy. It is a family tradition that my children have come to know and love. We then wrap everything up and gift the boxes to everyone we know. 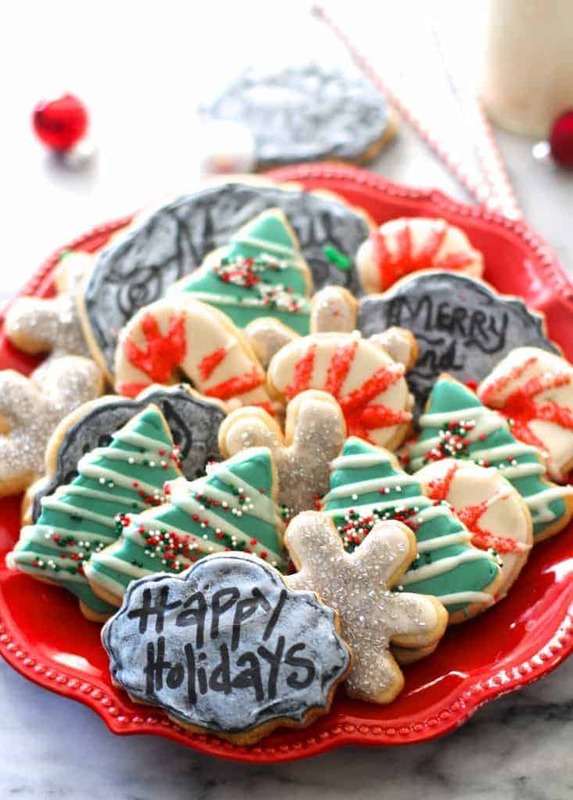 Do you love baking Christmas Cookies? 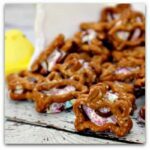 Then you MUST check out Princess Pinky Girls round-up of more than 40+ Amazing Christmas Cookie Recipes! Holiday baking is a serious time around here. My 10 year old daughter and I sit down for a few hours at the beginning of December and design our box. We like to have a good variety. Being a food blogger, people kind of expect the good stuff from us. But at the same time we don’t want to overwhelm ourselves. Which is why planning everything out in advance is necessary. Along with pretty decorated sugar cookies, cute gingerbread men, and some of the best homemade caramel in town, we also make these Mint Chocolate Cookies. 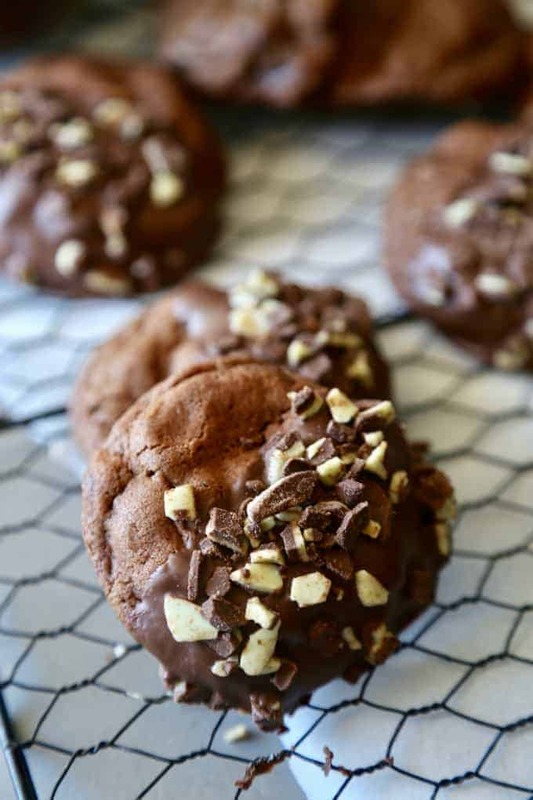 Dipped in chocolate and sprinkled with more mint chunks, these cookies are perfect. 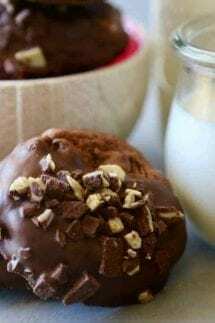 Trust me, even the not so big mint fans will love these Mint Chocolate Cookies. 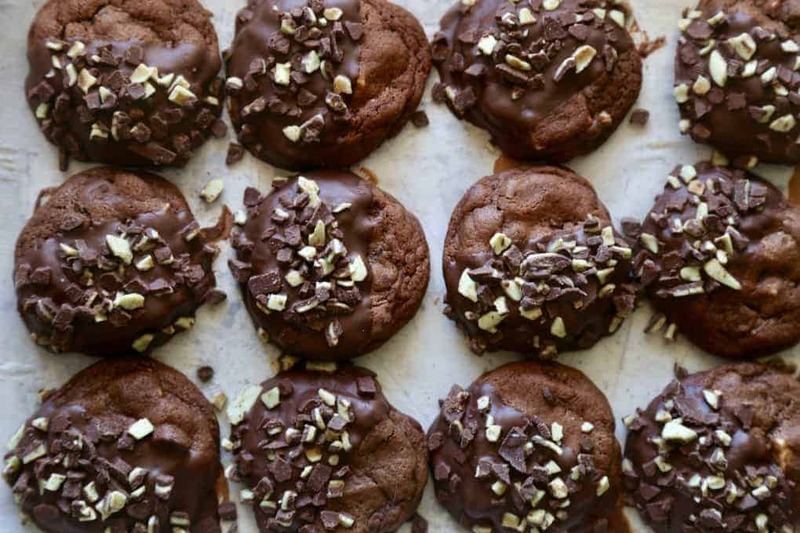 The actual cookie portion is a double chocolate minty dough, cooked to a chewy crisp. While the cookies are perfect as is, I think they make a glamorous finish dipped. This final touch definitely adds to the finished bow or tin. If Andes mints are not your thing, you can also sub them out for some crushed candy cane. 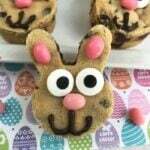 They will be a bit more crunchy but oh so cute! 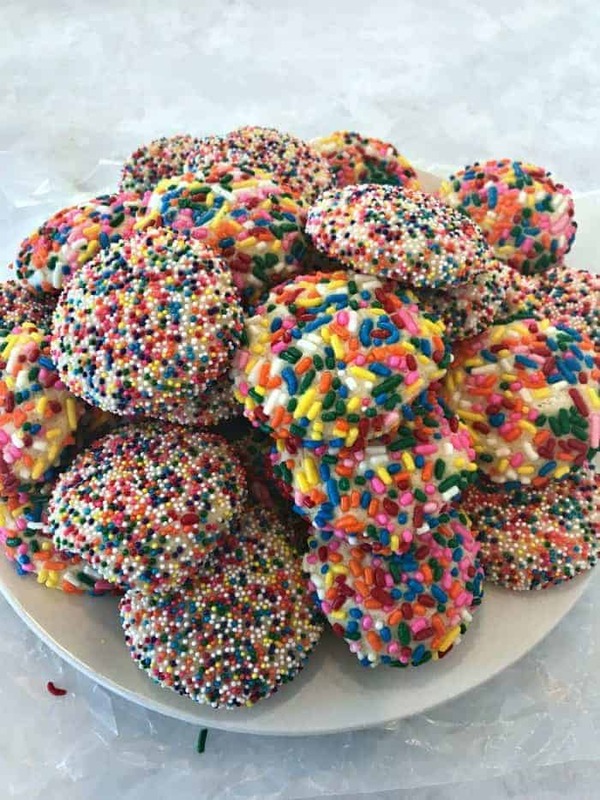 For more holiday cookie and candy recipes, check out my blog, Theseasidebaker.com as well as a few of our favorite recipes below the Mint Chocolate Cookies recipe. Preheat oven to 350 degrees and line 2 baking sheets with parchment paper or cooking mat. In a separate bowl combine flour, cocoa, baking soda, baking powder and salt. Add chocolate chips and mint chips; stir to combine. In small microwavable bowl, microwave chocolate chips and shortening uncovered on high 1 to 1 1/2 minutes or until melted; stir until smooth. Dip half of each cooled cookie into melted chocolate then sprinkle with mint chunks. 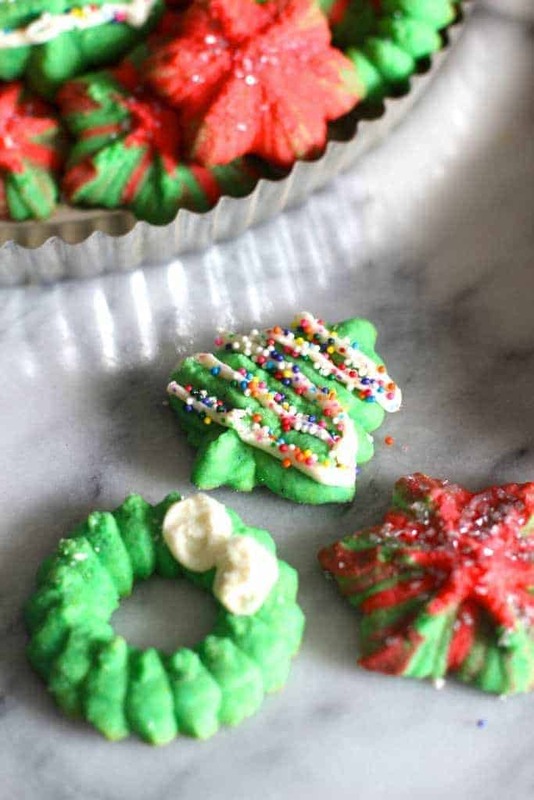 Looking for more Christmas Cookie Ideas?? Check out some of our favorites!